New Mexico State pulls to .500 in conference play with less than a month left in the regular season after Saturday night's late win over UVU. A doubleheader split between New Mexico State (19-15, 3-3 WAC) and Utah Valley ( seals the season series for the Aggies, who came back after dropping game one 9-7 to beat the Wolverines 6-1 in the night cap, pulling head coach Kathy Rodolph’s team even in conference play with less than a month left in the regular season. NM State grinded out the 1-0 victory Friday night to secure an early series lead, but UVU took an early advantage in game one, scoring five runs in the opening two innings, and did just enough to stifle any Aggie comeback attempt as the contest progressed. 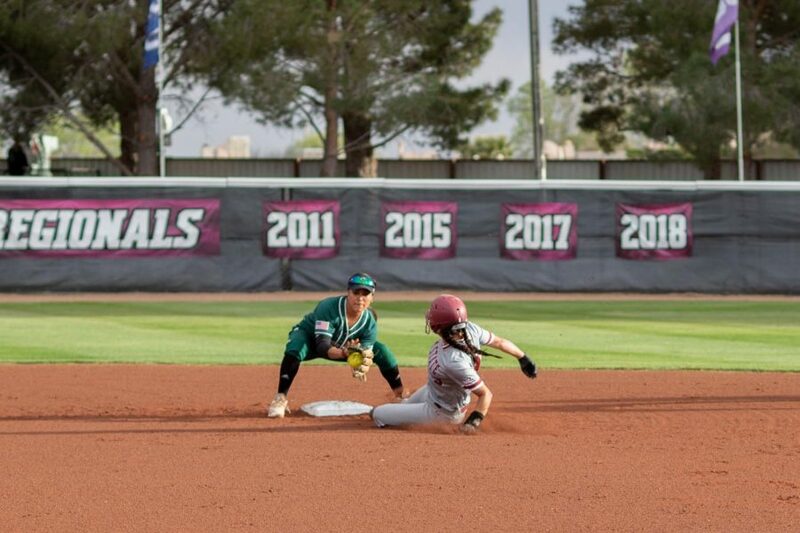 Chloe Rivas closed a 9-4 gap for NM State with a three-run blast in the bottom of the fifth, but some stellar defense that included a Victoria Castro home run robbing grab at the wall in the bottom of the seventh helped UVU prevail. The Aggies would respond strongly though, pairing what was already some solid offensive production (11 hits in both games, highlighted by two solo home runs by Mya Felder and one by Nikki Butler in game two) with another masterclass showing by Samaria Diaz from the mound. Diaz entered Saturday on a stellar run and finished the early game, allowing zero hits in three innings to give NM State a shot at a comeback. Game two was a different story with Diaz pitching all seven innings, though, with the junior allowing just four hits and one earned run while striking out 11 on the way to her eighth win of the season. Diaz is responsible for four of NM State’s last five wins, and the three losses the Aggies have suffered during that span have come in game where she doesn’t start. As good as Rodolph’s number one has been, the pitching staff as a whole is struggling to find their footing in conference play. 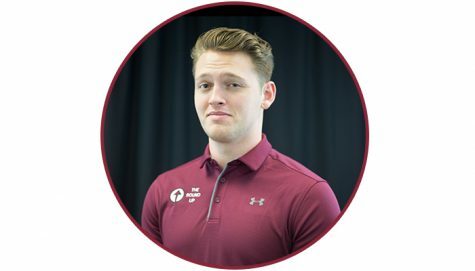 NM State will also need to work on what’s been some uncharacteristically inconsistent offensive play that’s plagued them over the past few weeks before they head to Riverside to take on Cal Baptist, according to Rodolph. 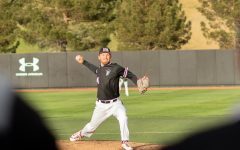 A home series against conference leading Grand Canyon awaits the Aggies after they’re weekend road trip at CBU, so the next couple of weeks will be crucial to NM State’s run at a fifth consecutive conference title.